This is a photo of the St. Pete Pier as a desktop wallpaper. The St. Pete Pier is located on the West Coast of Florida. 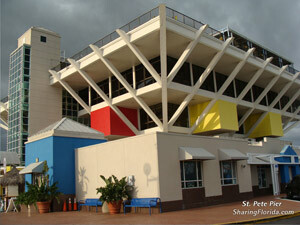 We too this photo of the St. Pete Pier in 2007.